Sign up for our FREE weekly Newsletter packed with important tips and techniques and you will receive the two highly acclaimed EBooks - 7 Easy Steps to Better Golf and 3 Easy Steps to Self-Hypnosis by Doug Juola - Cht. Enter the zone at will and WIN!! Have you ever played one of the very best rounds of golf in your entire life? Imagine if you could play that way EVERY round? Well you might be surprised if I told you that you CAN!!! Over the last twenty years there have been incredible improvements in the golf equipment that you use. There have been astounding changes in golf training, swing training, and the physical game of golf. And yet the average score of golfers has NOT CHANGED!!! Thats right, with all of this advanced equipment and extensive improvements in golf training the average golfer's score has remained the same as it was twenty years ago! What has not changed is the way the average golfer thinks, the mental game has remained the same. The easiest and fastest way to improve your game and lower your score is by using your own mind to help you instead of hinder you. 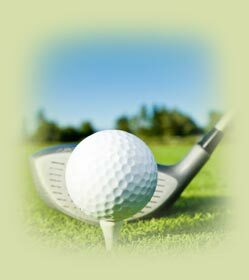 That's what GolfNosis is all about, helping you with the six inch game of golf, the six inches between your ears.